In the United States, nationalists take their stand on the question of race, arguing that it denotes meaningful differences between subspecies, that these differences have significant behavioral and social ramifications, and that the present threat to white racial survival constitutes the single, most vital issue facing our people. In Europe, by contrast, our counterparts pursue a somewhat different strategy. Against the anti-white forces of multiculturalism, Third World immigration, feminism, and globalization, European nationalists tend to privilege not race per se, but the defense of their cultural/historical identity. This identitarian emphasis might be explained by the absence in Europe of “First Amendment rights” and hence of the freedom to treat racial questions forthrightly. But there is, I think, another, more interesting reason for these transatlantic differences: namely, that European nationalists define race not simply as a matter of blood, but also as a spiritual—that is, as a historical and cultural—phenomenon. Implicit in this view is the assumption that the body is inseparable from the spirit animating it, that biological difference, as a distinct vitality, is another form of spiritual difference, and that the significance of such differences (given that man is a spiritual being, not merely an animal) is best seen in terms of culture and history rather than nineteenth-century biological science. Race, then, may be the necessary organic substratum to every historically and culturally distinct people, but its biological properties, however primordial, are only the form, not the substance, of its spiritual manifestation. Thus, whilst we Americans search for psychological, sociological, conspiratorial, or political explanations to account for the racially self-destructive behavior of our people, Europeans look to the loss of their culture and tradition—and the identity they define. These distinctions reflect not just strategic differences between US and continental nationalisms but the larger civilizational divide separating America from Europe—and hence their different historical trajectories. This is especially evident in the fact that Europeans of all political persuasions are presently embarked on an epoch-making project—a politically united Europe—that promises them dominance in tomorrow’s world. There is, moreover, real debate about how the European project is to be realized, especially in France, where the will to power is most developed. The New Class forces in control of the European Union, as might be expected, favor the liberal, economic, and quantitative principles that are leading white people everywhere to ruin, envisaging Europe as a multiracial civilization based on free markets, unguarded borders, and an ethnocidal humanitarianism. Against them, the various anti-system parties challenging the “liberal-democratic” order of money imposed on Europe in 1945, along with hundreds of New Right, far Right, revolutionary nationalist, and revolutionary conservative formations making up the Right’s extra-parliamentary wing, marshal an array of persuasive counter-arguments and do so not simply in the language of race. For unlike their New World homologues, these anti-liberals have the millennia-long tradition of Europe’s race-culture to buttress their opposition. 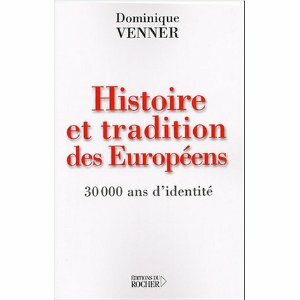 It is as part of this larger debate on Europe that Dominique Venner’s Histoire et tradition des européennes: 30 000 ans d’identité (History and Tradition of the Europeans: 30,000 Years of Identity) is to be situated. Few living writers are better qualified than Venner to speak for the white men of the West. For five decades, on paper and on numerous battlefields, he has earned the right to do so. His first arena in service to the European cause was French Algeria, where he served as an elite paratrooper. Later, in the 1960s, after discovering that the cosmopolitan forces of international capital had captured all the seats of power, he fought on another front, playing a leading role in the period’s far-right campaigns. Besides getting to know more than one French prison, he helped launch the metapolitical career of the “European New Right” (or “New Culture”), which has since become the chief ideological opponent of the Judeo-liberal forces allied with le parti américain. In addition to having shown courage and integrity under fire, Venner is a favorite of the muses, having authored more than forty books and innumerable articles on the most diverse facets of the European experience. Most of his books are works of historical popularization. His books on Vichy France, however, rank with the most important scholarly contributions to the field, as do his numerous books on firearms and hunting (one of which has been translated into English). Venner’s military history of the Red Army (Histoire de l’Armée Rouge 1917-1924) won the coveted prize of the Académie Française. His Le coeur rebel, a memoir of his years as a paratrooper in Algeria and a militant in the thick of Parisian nationalist politics during the 1960s, I think is one of the finest works of its kind. Venner has also founded and edited several historical reviews, the latest being the Nouvelle Revue d’Histoire, whose web address is http://www.n-r-h.net/ . In his most recent work, Histoire et tradition des européennes, this gifted European turns to his people’s distant past to answer the great questions posed by their uncertain future. For Nietzsche, the most prominent popularizer of the term, nihilism is a product of “God’s death,” which undermines Christian belief and leaves the world without a sense of purpose. Venner sees it in somewhat broader terms, designating not simply the loss of religious belief, but the loss of the larger cultural heritage as nihilism’s principal source. In this sense, nihilism subverts those transcendent references that formerly oriented the Occident, leaving modern man with a disenchanted world of materialist satisfactions and scientific certainties, but indifferent to “all the higher values of life and personality.” Given its focus on the physical basis of existence, nihilism fosters a condition devoid of sense, form, or order and hence one deprived of those standards that might aid us in negotiating the great trials of our age. An especially dire consequence of this loss of transcendence is a civilizational crisis in which the survival of our race becomes a matter of general indifference. Venner traces nihilism’s roots to the advent of Spengler’s “Faustian civilization,” which began innocently enough when Saint Thomas introduced Aristotelian logic to Christian theology, privileging thereby the forces of rationality. Because Christianity held that there was a single truth and a single spiritual authority (the Church), reason in this Thomist makeover was made the principal means of accessing the divine. But once the Christian God became dependent on reason, He risked eventually being repudiated by it. This came with Descartes, the founder of modern philosophy, who turned reason into a purely instrumental and calculative faculty. In the form of science, technology, and industry, Cartesian rationalism reduced everything to a mechanical causality, associating reason with the progressive mastery of nature, a belief in progress (soon to supplant the belief in Providence), and, ultimately, the rule of money. Venner claims a desiccated mathematicized reason, no matter how technologically potent, is no substitute for transcendent references, for a disenchanted world governed by its principles is a world devoid of meaning and purpose. The ongoing mechanization of human existence and the quantitative, economic priorities it favors are, indeed, premised on the eradication of those transgenerational structures of history, tradition, and culture which inform all traditional belief systems. And once such structures give way to rationalism’s anti-organic propositions, so too does the significance of those qualities distinguishing Europeans from other members of the human family. In this spirit, the world born of nihilism takes as its ideal an abstract, uniform, and coffee-colored humanity indifferent to pre-rational life forms based on Europe’s organic heritage. The greater the barrenness of the encroaching nihilism, the greater, Venner contends, is the need to reconnect with the primordial sources of European being. This, however, is now possible only through research and reflection, for these sources have been largely extirpated from European life. In uncovering the principal tropes of Europe’s history and tradition, Venner does not, then, propose a literal return to origins (which, in any case, is impossible), but rather a hermeneutical encounter that seeks out something of their creative impetus. From this perspective, Homer’s Iliad, written thirty centuries ago, still has the capacity to empower us because it expresses something primordial in our racial soul, connecting us with who we were at the dawn of our history—and with what we might be in the adventures that lie ahead. Whenever Europeans reconnect with these primordial sources, they take, thus, a step toward realizing an identity—and a destiny—that is distinctly their own. When Venner speaks of tradition, he refers not to the customary rites and practices that anthropologists study, nor does he accept the utilitarian approach of Edmund Burke and Russell Kirk, who treat it as the accumulated wisdom of former ages, nor, finally, does he view it as that transhistorical body of principles undergirding the world’s religions, as René Guénon and Julius Evola do. Tradition in his view is that which is immutable and perpetually reborn in a people’s experience of its history, for it is rooted in a people’s primordial substratum. It ought not, then, to be confused with the traditions or customs bequeathed by the past but, instead, seen as the enduring essence—the truth—of a particular historical community, constituting, as such, the infrastructural basis—the cultural scaffolding—of its spirit and vitality. From this perspective, Europe was born not with the signing of certain free-trade agreements in the late twentieth century, but from millennia of tradition. Nowhere is this clearer than in the themes linking the Iliad, the medieval epics, the Norse sagas, even the national poem of the Armenian Maherr, where we encounter the same warrior ethic that makes courage the ultimate test of a man’s character; the same aristocratic notions of service and loyalty; the same chivalric codes whose standards are informed by beauty, justice, and harmony; the same defiance in face of unjust authority and ignoble sentiments, but, above all, the same metaphysical rebellion against an unexamined existence. From these Aryan themes, Venner claims the organic legacy that is Europe takes form. The word itself “Europe” is nearly three millennia old, coined by the Greeks to distinguish themselves from the peoples of Africa and Asia. Not coincidentally, Hellenic Europe was forged—mythically in Homer, historically in the Persian Wars—in opposition to Asia. The roots of Europe’s tradition reach back, though, beyond the Greeks, beyond even the Indo-Europeans, who shaped the linguistic and cultural structures of its root peoples. 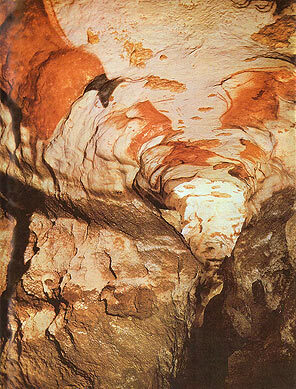 It begins 30,000 years ago, at the dawn of Cro-Magnon man, whose cultural imagery lingers in the extraordinary cave paintings of Chauvet (France) and Kapova (Ukraine), in that region stretching from the Pyrenees to the Urals, where, for nearly 20,000 years, until the last Ice Age arrived, the germ of European civilization took form, as race and culture fused in a uniquely brilliant synergy. Every subsequent era has passed on, reframed, and added to this traditional heritage—every era, that is, except the present nihilist one, in which liberals and aliens dominate. Darwin may have been right in explaining the evolution of species, but, Venner insists, history operates irrespective of zoological or scientific laws. As such, history is less a rectilinear progression than a spiral, without beginning or end, with cycles of decay and rebirth intricate to its endless unfoldings. No single determinism or causality can thus conceivably grasp the complexity of its varied movements. Nor can any overarching cause explain them. Given, therefore, that a multitude of determinisms are at work in history, each having an open-ended effect, the course and significance of which are decided by the historical actor, human freedom regains its rights. And as it does, history can no longer be seen as having an in-built teleology, as “scientific” or ideological history-writing, with its reductionist determinisms, presumes. This means there is nothing inevitable about the historical process for, at any moment, it can take an entirely new direction. What would the present be like, Venner asks, if Hitler had not survived the Battle of Ypres or if Lee had triumphed at Gettysburg? None of the great events of the past, in fact, respond to “necessity,” which is always an a posteriori invention. In conditioning a people’s growth, the existing heritage constitutes but one determinant among many. According to Venner, the existing heritage enters into endless combination with the forces of fortune (whose classic symbol is a woman precariously balanced on a spinning wheel) and virtù, a Roman quality expressive of individual will, audacity, and energy, to produce a specific historical outcome. In this conjuncture of determinism and fortune, the virtù of the historical actor becomes potentially decisive. Lenin, Hitler, Mussolini—like Alexander, Caesar, and Arminius before them—or Frederick II, Peter the Great, Napoleon—were all men whose virtù was of world historical magnitude. Without their interventions, in an arena organized by the heritage of the past and subject to the forces of chance, history might have taken a different course. This suggests that history is perpetually open—and open in the sense that its unfolding is continually affected by human consciousness. History’s significance, therefore, is not to be found in the anonymous currents shaping its entropic movements, but in the meanings men impose upon them. For in face of the alleged determinisms justifying the existing order, it is the courage—the virtù—of the historical actor that bends the historical process in ways significant to who we are as a people. In Venner’s view, the European of history is best seen as a warrior bearing a sword, symbol of his will. The virtù of this warrior is affirmed every time he imposes his cosmos (order) upon a world whose only order is that which he himself gives it. History, thus, is no immobilizing determinism, but a theater of the will, upon whose stage the great men of our people exert themselves. Both as intellectual discipline and individual act of will, it seems hardly coincidental that history is Europe’s preeminent art form. Like history, life has no beginning or end, being a process of struggle, an overcoming of obstacles, a combat, in which the actor’s will is pivotal. While it inexorably ends in death and destruction, from its challenges all our greatness flows. The Hellenes entered history by refusing to be slaves. Bearing their sword against an Asiatic foe, they won the right to be who they were. If a single theme animates Venner’s treatment of Europe’s history and tradition, it is that Europeans surmounted the endless challenges to their existence only because they faced them with sword in hand—forthrightly, with the knowledge that this was not just part of the human condition, but the way to prove that they were worthy of their fate. Thus, as classical Greece rose in struggle against the Persians, the Romans against the Carthaginians, medieval and early modern Europe against Arabic, then Turkish, Islam, we too today have to stand on our borders, with sword in hand, to earn the right to be ourselves. Europeans, Venner concludes, must look to their history and tradition—especially to the honor, heroism, and heritage Homer immortalized—to rediscover themselves. Otherwise, all that seeks the suppression of their spirit and the extinction of their blood will sweep them aside. The question thus looms: In the ethnocidal clash between the reigning nihilism and the white men of the West, who will prevail? From Venner’s extraordinary book, in which the historian turns from the drama of the event to the scene of our longue durée, we are led to believe that this question will be answered in our favor only if we remain true to who we are, to what our forefathers have made of us, and to what Francis Parker Yockey, in the bleak years following the Second World War, called the primacy of the spirit.